The is a book about feeling something or perhaps it is better to say it is about being. True, there will be a lot of words and concepts but they are designed to lead the reader into a place of immense light, love and joy far beyond the realm of words. This is a book about primordial awareness which is neither a verb nor a noun nor is it a form or a substance. It is not energy. It is unlike anything else. It can only be understood by being it. It is the Clear Light to Tibetan Buddhists, the I AM in the Bible, the Einsoph to Jewish Kabbalists, Brahman in the Vedas and the Self to those who practice non-duality or advaita. It is the mind that feels. It is awareness that provides the aliveness to feel while awareness itself doesn’t feeling anything. In the same way, a flashlight may shine on the page of a book which allows the reading of the page but the light does not read anything. Yet without the light of the flashlight, reading could not take place. Without the light of primordial awareness, existence would not occur. There would be no universe, no people, no mind – nothing. This should be self-evident. 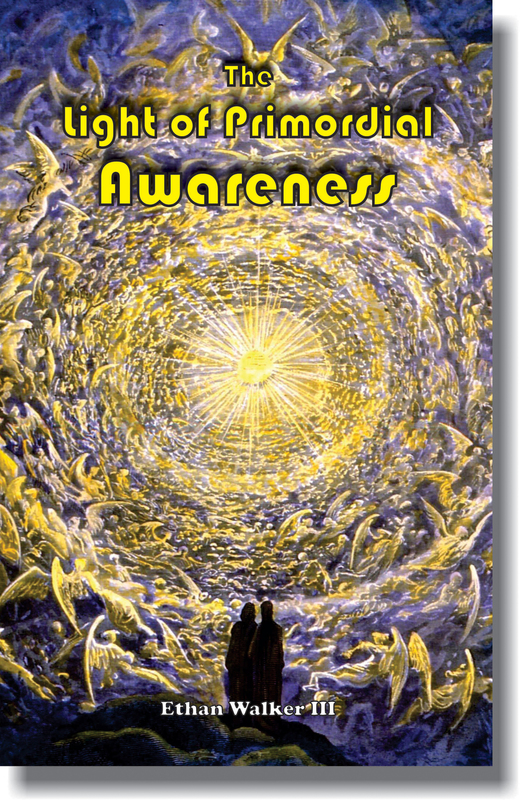 Awareness is the fundamental substratum and without it, nothing can exist. As the ego recedes there is the appearance that awareness is increasing. In reality it is the mind that is diminishing like draining a pond with a boulder that was once submerged in the middle of it (the boulder of awareness). As the pond drains the boulder begins to show. As more of the mind drains away, more of the boulder, which is really a shining, radiant diamond, appears. So we say our awareness is increasing because that’s how it seems, but it is more so that our mind and ego are decreasing. With this increasing light of awareness, we will begin to see and experience things heretofore unavailable to us. These can be subtle machinations of the universe but the most important revelations are those regarding our own inner world. We begin to feel the light and love that radiates from the core of our being. And we also begin to see the dirt and soot in our subconscious minds. We will begin to take up the task of cleaning and this is not always pleasant. There are those that say not to bother with purifying the mind and that we should, instead, just transcend it. This will never work because an impure mind will never allow itself to be transcended. Another way of saying this is that an impure mind will never allow itself to be diminished. The mind is diminished when it is concentrated. This is simply common sense. When the mind is held to one thing, it nearly ceases to exist. In the context of this book, we are primarily concerned with concentrating the mind on awareness. As this occurs, awareness emerges as one’s own Self. Like peeling a banana, when the peeling of the mind is removed, the fruit of awareness remains. It will be seen that there is actually a hole in the mind that we step through. The dichotomy is this: we are concentrating on awareness, contemplating it, trying to feel it, trying to be it and so on, and all the while we are that very awareness we are trying to see. Be that as it may, the reader is encouraged to persist with these tools because all of these endeavors will open the hole in the mind and we will soon experience that we are awareness and that everything is existing within us. We are not really aware that we are not aware. Most of us think we are aware but we have very little awareness. This is due to the obscuring power of the mind and its egoistic notions. The mind and ego block awareness in the same way that clouds block the sun. Awareness is infinitely expansive while the mind and ego are hopelessly and pathologically constricted.